With the rapid expansion and availability of genomic information, a future of personalized medicine appears within reach. Clinical uses of genomics are blossoming in cancer care, reproductive medicine, cardiovascular disease, diabetes, drug responsiveness and predictive medicine. Innovation in computational tools and molecular analysis alongside broad adoption of electronic medical records are helping to convert genomic information into clinical action. And the cost of sequencing a human’s genome continues to drop; now about $1000 with estimates of as little as $200 within five years. There are also exciting, large-scale genomics studies underway worldwide. Most notably, Dr. Francis Collins and the NIH are leading the “All of Us” initiative to expedite the collection and integration of genomics information for 1 million US patients, funded as part of the 21st Century Cures Act passed in December of 2016. Consumers, too, are responding to progress in genomics with excitement. The three largest consumer testing companies have performed 4 million tests since inception a decade ago. Two million of those occurred in the past year alone. And commercial medical genomics testing companies are seeing similar growth, albeit off a much smaller base. One needs look only to the FDA approval of 23andMe’s personal GHR tests to see the momentum and direction we are headed. But the key question as we move ahead is: how can we connect genomics information to routine medical care? For example, 7% of us carry a change in a gene that puts us at moderate to high risk of cancer or some forms of cardiovascular disease. That information can be life changing, but only if it can be translated effectively into preventive action. As an industry, we are just now tackling that question, and it is a significant hurdle to make clinical genomics mainstream. Sequencing technology is ahead of clinical understanding and implementation. Information about genomics is changing faster than physicians’ ability to keep up. Integration into medical care plans is limited to specific and siloed use cases, mostly in cancer and reproductive medicine. There are significant bottlenecks in accessing genomics experts. Only about a third of patients needing to see a medical geneticist are seen within a month and many wait much longer. ** Many physicians simply don’t have access to the latest information about how to best use genomics in the clinic. This is an existential pain point for the field. This is why Canaan and I are backing the unrivaled team of experts behind the startup, Genome Medical. Genome Medical’s ambition is to integrate genomic information into everyday health care. Founders Lisa Alderson, Randy Scott and Robert Green, MD have long track records of innovation in the business and clinical side of genomics. Randy is a well-known leader with experience at three VC-backed companies, most recently as CEO and chairman of Invitae. Lisa has partnered with Randy before, running operations at both Invitae and Genome Health and it is fantastic to see her stepping into the CEO role. Robert is a medical geneticist and physician-scientist who directs the G2P Research Program in translational genomics at Brigham and Women’s Hospital, the Broad Institute and Harvard Medical School. 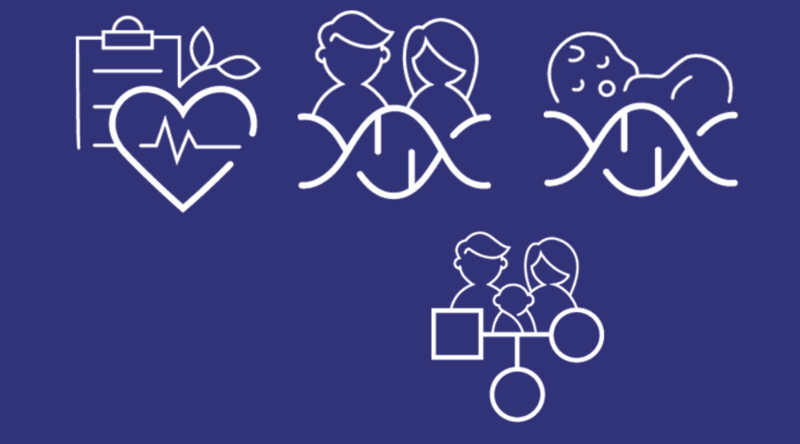 Through their shared experiences, Genome Medical’s founders aim to better connect genomics to clinical care by eliminating barriers to the availability of genomic information and patient access. I began working with the team during the seed stage in 2016. Now, with the recent Series A, the Genome Medical platform is set to move quickly. Genome Medical is deploying a telemedicine platform to connect patients, physicians, labs and clinical partners to a national network of genetic experts. Telemedicine has been on a 25-year journey to routine adoption and Genome Medical brings me back to my earlier entrepreneurial experiences. As a radiologist in the early 90’s, I founded a teleradiology company. Fifteen years ago, Canaan invested in Genaissance Pharmaceuticals, which pioneered the use of pharmacogenomics for drug development, forensics and in consumer applications like nutrition. Both were ahead of their time and struggled for business opportunities despite leading technology. Sometimes, it is too early and hard to pioneer. ** 2016 National Association of Genetic Counselors Professional Status Survey.